After weeks of speculation, Grab’s acquisition of Uber is now official. In a statement by Grab Philippines country manager Brian Cu, he said that the combined services of Grab and Uber will let Filipino users and drive-partners benefit through its wider network. As part of the merge, Uber will take a 27.5 percent stake in Grab and CEO Dara Khosrowshahi will be a part of Grab’s board. In 2017 alone, Grab saw more than 2.5x growth in downloads, 4x growth in driver-partners and 5x growth in cities of operation. Grab is now backed by two of the world’s largest ride-hailing companies, DiDi Chuxing and Uber. Other countries affected by the acquisition are Cambodia, Indonesia, Malaysia, Myanmar, Singapore, Thailand, and Vietnam. What Does This Mean For Its Filipino Drivers And Customers? 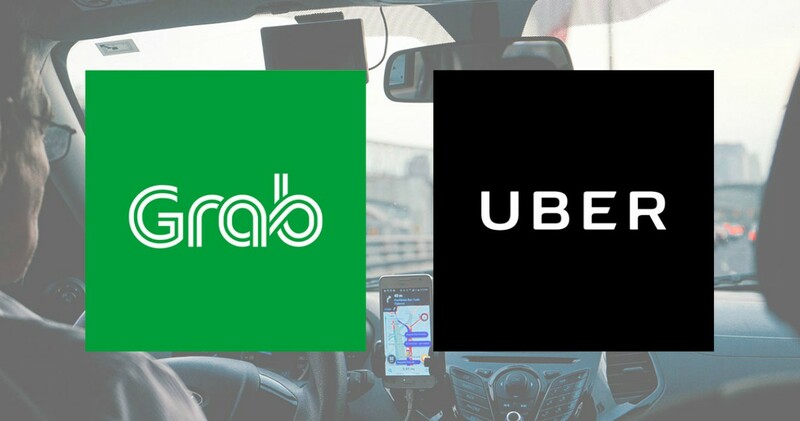 Since Grab and Uber are the two main TNCs in the Philippines, the transportation services will undergo many changes when it comes to its operations. “The Uber app will continue to operate for two weeks to ensure stability for Uber drivers, who can find out how to sign-up to drive with Grab online. Uber Eats will run until the end of May, after which Uber delivery and restaurant partners will move to the GrabFood platform,” Grab shared in a statement. The Uber app will still be available in the Philippines and the rest of Southeast Asia until April 8 to give a two-week transition period for Uber drivers to move to Grab. There will be a shorter waiting time for passengers since there will be a bigger number of drivers. Ride prices will also become more affordable due to the increase of drivers. Driver-partners will now also have access to Grab drivers’ support services, offers, incentives, and enhanced welfare through insurances and micro-financing. Grab will maintain the ridesharing and food delivery services of Uber. Grab offers a feature—GrabRewards—where passengers are given points which they, later on, can redeem for discounts on their next ride. New users can use GrabPay, a mobile wallet that can be used for cashless transactions and can be used to transfer credit to other people. Use promo code GRAB4W for a discounted fare price. Following the previous issues that both TNCs faced last year, and earlier in 2018, Cu said that they will continue working hand-in-hand with various government departments. “We will continue to work and collaborate with the Department of Transportation (DOTr), Land Transportation Franchising and Regulatory Board (LTFRB), local government units and other stakeholders to constantly find ways to improve our services,” he said. Last month, there was a limit of 66,750 units for all transport network services in the Philippines, as per order from LTFRB. While last year, there was also an order to temporarily stop accepting applications for new drivers. However, Uber continued processing new applicants which eventually led to a one-month suspension of the app. Uber then negotiated with the government and was fined Php 190 million instead of being suspended. A fine of Php 5 million was also given to Grab and Uber due to various violations of terms and conditions such as allowing drivers to operate without providing the necessary requirements. But as a major change has come, Grab assured that they will continue in giving quality and fair service.